The emergence of diabetes in epidemic proportions has become one of the most weightiest (pun intended) health issues today. The need for effective, natural measures supporting blood sugar stabilization has never been greater. As millions of people around the globe adopt western-type diets and sedentary lifestyles, obesity rates skyrocket—as do health care costs associated with diabetes. Indeed, it often appears as though the rise of diabetes, pre-diabetes, and blood sugar related conditions are destined to continue their relentless rise. But it doesn’t need to be this way. In fact, public awareness about the risks of diabetes has been rising fast. People realize processed foods, sodas, and foods hyper sweetened with sugar, high-fructose corn syrup, and other anti-nutrients (including artificial sweeteners) are never healthy choices. That exercise is not a luxury, but a necessity. Also, there is increased awareness among health care professionals and the general public regarding the role played by other factors, such as chemical toxins (e.g., plastics, pthalates, bisphenol-A, heavy metals, etc.) (some of which are hormone/endocrine disruptors) in the etiology and progression of diabetes and health conditions related to blood sugar control. The problem may be complex, but many of the solutions are surprisingly simple (even if not ‘easy’ given all the variables from an entrenched corporate food system that encourages consumption to lack of education about healthy living). These solutions include changes made to diet and lifestyle. They include consuming little or no sugar and refined foods (e.g., processed flour and simple carbohydrates), and fewer empty calories (e.g, sodas sweetened with high fructose corn syrup) of all kinds. Making healthier choices like complex carbohydrates (e.g., vegetables), more raw foods, lean proteins, healthy fats, and only use no (or low) glycemic sweeteners (like stevia or erythritol). Aim to consume an organic, whole foods diet as much as possible. Daily or near daily exercise that can include walking, hiking, biking, swimming. And meditation and other stress-reducing and bliss-inducing activities like yoga, tai chi, qi-gong, deep breathing exercises, and time spent in nature. These few practices (above) by themselves effectively support positive blood sugar changes, help reduce body weight, and lower adverse stress chemicals in the bloodstream. Not only can they help head off progression to full blown diabetes, but also put your health on a trajectory toward optimal wellness and deep-rooted well being. Moreover, these practices can increase the body’s resistance to adverse blood sugar changes and buffer it in times of stress, so that reasonable health can be assured even in a less than perfect world where ideal dietary choices sometimes are not readily available, and/or when environmental exposures cannot easily be avoided. We specialize in offering nutritional products that support optimal health, including a highly effective Blood Sugar Support formula (formerly Diabetes Support Formula). I will go a bit more into depth about nutritional supplementation for diabetes blood sugar stabilization, then go into further detail regarding diet and other helpful elements. HPDI advises all individuals (diabetic or not) to take four basic foundational supplements for health: 1) High-potency multivitamin (like Hank & Brian’s Mighty Multi-Vite!™), 2) Antioxidant / Vitamin C formula (like Ultimate Protector™ or PRO-C™), 3) Essential Fats (like Essential Fats Plus E), and 4) Rejuvenate!™ high-RNA superfoods, such as Rejuvenate!™ Berries & Herbs. 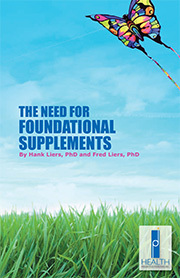 The four foundational formulas help establish a base of nutrients that support a state of good health. General good health is important both to help the body deal with existing blood sugar control problems (including diabetes), and to help avert further deterioration of the body’s capacity to control blood sugar. The most important condition specific formulas are Blood Sugar Support (formerly Diabetes Support Formula), pH ADJUST, Conjugated Linoleic Acid (CLA), and Intestinal Rejuvenation Formula. The Blood Sugar Support formula provides support for blood sugar control by very effectively providing nutrients the body can use to stabilize its blood sugar. In fact, many users report their symptoms disappear or are greatly reduced. Read more about Blood Sugar Support formula here. The Diabetes & Blood Sugar Control Supplement Schedule (below) provides an excellent starting point. The information that follows the Supplement Schedule provides additional, important suggestions that may be helpful. These suggestions do not necessarily represent a comprehensive program for regaining your health. Taken together, however, the Schedule and recommendations are intended to offer measures for supporting blood sugar control, naturally and effectively. PRO-C™ or Ultimate Protector™ 3 caps 3 caps 3 caps Take with food. 1 tab Take with food. This multi formula is designed to provide most of the nutritional supplementation needed by the body. Essential Fats plus E 2 softgels 2 softgels Take with food. These formulas provide essential omega-3 & omega-6 fatty acids. Conjugated Linoleic Acid (CLA) 2 softgels 2 softgels 2 softgels Take with food. 1 scoop Take as a meal replacement. These are complete, low carbohydrate, and extremely nutritious superfoods. Blood Sugar Support 2 caps 1 cap 2 caps Take with food. Myo-Mag 1 cap 1 cap 1 cap Take with food. Contains magnesium and malic acid for improved energy and muscle function. Nascent Iodine 2% 10–20 drops Take in a little water on an empty stomach. Important enhancement formulas include Myo-Mag (magnesium), pH ADJUST, Nascent Iodine, Vitamin D3 (5,000 IU), Acetyl-L-Carnitine (500–1500 mg daily between meals), Double Zinc Plus (1–2 tablets daily), Selenium (200 mcg daily as l-selenomethionine), RESTORE (for gut health), Adreno Plus™ glandular (1–3 caps daily with food), Inositol hexanicotinate (600–1800 mg daily), progesterone cream for women (1/4–1/2 tsp twice a day), and Magnesium Oil (sprayed onto skin) or use the oil (or magnesium flakes) in a bath with baking soda (one cup or more). Note: Zinc and chromium are both known to help reduce blood sugar. However, when taken together their combined effects exceed their effects when taken separately. Blood Sugar Support formula provides therapeutic levels of chromium and some zinc. Taking additional supplemental zinc daily (e.g., 1–2 capsules of Double Zinc Plus) will boost zinc intake into the therapeutic range, and thereby more effectively support blood sugar control efforts via improved nutrition. The most important dietary recommendation for diabetics or anyone attempting to stabilize their blood sugar is to stop (or dramatically reduce) consuming sugars and all refined or simple carbohydrates. That is, the less you consume of foods containing sugar (or that break down quickly into sugars), the better. Refined or simple carbohydrates include white breads, pasta, white rice, and white potatoes. We also suggest consuming smaller, more frequent meals and snacks. This strategy can keep blood sugar on a more even keel, and avoids precipitous drops in blood sugar levels. Keeping a good balance of complex carbohydrates (vegetables, nuts, and seeds) and high quality proteins can be important (see more below). Beyond foods containing sugar, many nutritionists advise diabetics not to consume any grains for at least three to six months. Not only will this help reduce blood sugar, but it may also contribute to less inflammation in the body, as well as weight loss, which in the case of many diabetics is a necessity for improved health. After three to six months, depending on the blood sugar control status of the individual, whole grains may be reintroduced in small quantities. Whole grains may include organic brown rice, organic buckwheat, organic millet, and possibly organic sprouted breads (e.g., Ezekiel or Essene breads). Whole grains are complex carbohydrates, and they require metabolic activity for digestion. Unlike simple carbohydrates, they do not rapidly break down into sugars and overwhelm the bloodstream with them. We also encourage you to know their blood type and to familiarize yourself with the foods that are beneficial, detrimental, or neutral for your blood type (see Eat Right for Your Type and other books by Peter D’Adamo). For example, it is well known that blood type O exhibits greater incidence of problems related to digesting grains. However, no blood type is immune from blood sugar problems related to consuming refined, overly processed grains. We recommend an alkaline-forming diet that maintains a urine pH between 6.5 and 7.0 (for recommendations see chart “Effect of Foods on Body Chemistry” or the table below). An acidic body is far more susceptible to degenerative diseases. Also, when the body remains acidic over a prolonged period, it must rob minerals from bones in order maintain its pH balance. An alkaline body can therefore more easily maintain stronger bones and structural integrity. The best way to ensure your diet remains alkaline forming (and hence your body stays alkaline) is to consume lots of vegetables and fruits. Emphasize leafy green vegetables, which promote alkalinity most effectively. However, most vegetables (with a few exceptions) help keep you alkaline. Ultimately, a balanced whole-foods diet that includes high intake of vegetables, vegetable juices, and nuts will very effectively keep you alkaline. Vegetables provide complex carbohydrates, which contain more fiber and take longer for the body to digest. They also provide far more nutrients (including vitamins, minerals) than simple carbohydrates. Thus, complex carbohydrates do not subject the body to such extreme blood sugar swings compared to simple carbohydrates. Plus the greater nutritional value offers nutrients that support the body’s blood sugar response. Consuming soups is a tasty, healthy way to increase your vegetable intake and to dramatically alkalinize your body. Try eating “Hank’s Vegetable Soup” several times a week. Modify this recipe, as you wish. Try to consume at least some vegetables raw. In fact, aim for 50–60% raw, if possible. Raw foods provide enzymes that help break down foods. Try consuming a nearly total raw foods diet for a week or two, and see how you feel. Many people find that the benefits are so great that they increase their raw foods to 80% or more. Another great way to stay alkaline is to drink vegetable juices daily. Preferably, you can make juices yourself with a juicer (or visit a juice bar). Start making juice with carrots, apples, beets (including greens), celery, cucumber, and leafy greens (spinach, parsley, cilantro). Drink at least 12–16 ounces of juice daily (or as often as possible). Then ideally work your way up to one to two quarts (32–64 ounces) per day. This is the level at which the greatest benefits of juicing will be realized. In fact, I will go so far as to say that drinking two quarts of organic juice per day is one of the very best things you can do to speed progress in supporting the effectiveness of the body’s blood sugar control mechanisms. Adding chlorella, spirulina, and/or Rejuvenate!™ superfoods directly into your fresh juices boosts their nutritional value, and brings the unique healing power of dietary nucleic acids into your body. Dietary nucleic acids (RNA, DNA, nucleotides, and nucleosides) are known to help with blood sugar control, diabetes, and stimulate healing in the body. Over time, nucleic acids help the body to rebuild itself, provide greater energy (as ATP) for biological processes, improve cellular communications, boost oxygenation, support tissue repair, and normalize overall body function. Juicers come in many styles and sizes. There are good juicers of all types. Check out centrifugal juicers (e.g., Breville), masticator juicers (e.g., Champion), twin gear (e.g., Green Star), and single augur juicers (e.g., Hurom). You often get what you pay for with juicers. I favor certain juicers like the Green Star, which costs more, but offers far greater durability and includes a 12-year warranty. Supplementing with pH ADJUST can be extremely effective. We suggest you use pH paper to measure your morning urine pH (before eating any foods). If your urine pH is less than 7.2-7.6, start with ~1/4 tsp in 6-8 oz of purified water. Gradually increase your dosage until your morning urine pH is in the 7.2-7.6 range and maintain that amount or continue to measure your pH and adjust your dosage accordingly. Fruits also are alkaline forming and offer dietary fiber and other nutrients. However, diabetics (and others concerned about blood sugar) must watch total sugar intake. So, emphasize intake of low glycemic fruits (e.g., berries) (see Carbohydrates in Fruits and Vegetables chart), and keep intake of sugary fruits (and fruit juices) low, especially at the beginning of any program to control blood sugar. As the body’s blood sugar responses normalize, it may be appropriate to include more fruits in the diet. Be sure not only to emphasize fruits low on the glycemic index, but also fresh fruits and fresh fruit juices. That is, fresh organic fruits, fruit juices, and fruit smoothies that you make yourself are much healthier than processed fruit or fruit juice products you find in a grocery store. Frozen organic berries are one exception. In addition to to a juicer, a blender is a must-have tool for creating fresh, healthy concoctions (such as smoothies) in your kitchen. The importance of dietary fiber to blood sugar stabliization cannot be overestimated. As previously stated, vegetables provide good amounts fiber. Whole grains and fruits also provide fiber, but depending on your status on a blood sugar stabilization program, you may not yet be consuming too many grains or fruits. Nuts and seeds (e.g., sunflower, almond, chia, walnuts, and sesame) in small amounts (1–2 ounces) are good options for more fiber, as well as providing high quality proteins, minerals, vitamins, and other important nutrients. If you are already consuming smaller, but more frequent meals, you will find that nuts and seeds fit well into this strategy. They are portable, mixable, and store well. Beans are an excellent source of fiber and complex carbohydrates. Notably, beans naturally contain high amounts of dietary nucleic acids (RNA, DNA) that are known to help the body deal with blood sugar issues. if you have trouble digesting beans, then consume only in moderation, then gradually increase as the body adjusts to them. We also recommend a dietary fiber supplement. Intestinal Rejuvenation Formula not only provides significant amounts of dietary fiber, but also nutrients that support intestinal health. This formula is designed to cleanse the entire intestinal tract; to sweep it free of blockages, impactions, and pockets, as well as to support natural bowel movement. When taken before or around meal times, Intestinal Rejuvenation Formula helps slow the release of sugars into the bloodstream. In addition, using the formula regularly prepares the intestinal tract to support healthy populations of gut bacteria (probiotics). After periodic intestinal cleansing using a natural fiber supplement like Intestinal Rejuvenation Formula, it is a good idea to take a high-quality probiotic supplement (that includes prebiotics), such as Prescript-Assist™. Prescript-Assist™ is a unique probiotic / prebiotic formula providing 29 viable soil-based organisms (SBOs) that offers far greater benefits for total health than typical lactic acid-based probiotic formulas. This is because soil-based organisms can easily survive in the entire gastrointestinal tract, whereas lactic-acid bacteria have greater difficulty surviving, especially in the lower GI tract. RESTORE is unlike any supplement on the market. Made in the USA, RESTORE is a soil-derived, scientifically backed mineral supplement that creates a firewall against toxins entering the gut wall. RESTORE helps create a biological environment for “good” gut bacteria to grow and flourish in order to support improvement of overall health. We recommend for blood sugar issues consuming a diet relatively high in protein. Lean proteins can help stabilize blood sugar. For non-vegetarians, proteins can include lean meats, including organic beef, organic turkey and other poultry, or wild-caught fish (e.g., salmon). Portion sizes do not have to be especially large, and it may be more effective to serve smaller portions more frequently. For vegetarians or vegans, there are many options for protein, including leafy greens, nuts and seeds, and organic soy (in small quantities). Beyond sugars and refined (or processed) foods, some other items to avoid (or reduce) while on a program to stabilize blood sugar include alcohol, tobacco, coffee, fried foods, and foods containing artificial preservatives, flavors, colors, and sweeteners (e.g., aspartame and sucralose). Acceptable sweeteners include stevia and polyols (e.g., xylitol or erythritol). Avoid or reduce consumption of dairy products (although some raw dairy products may be okay for some people). Drink purified or spring water, thereby avoiding toxic chlorine and fluoride, which both adversely affect metabolism and the thyroid gland (among their many adverse effects). Avoid whenever possible consuming foods or drinks from plastic containers, or from metal cans sealed using bisphenol-A. Instead, store and serve foods using glass, metal (e.g., stainless steel), or ceramic containers. Intake of plastics into the body has been implicated in blood sugar control problems, including the development of diabetes. In addition, avoidance of plastics helps reduce intake of xenoestrogens, which are endocrine disruptors, and harmful to health. 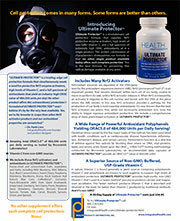 As noted above, we recommend Nascent Iodine to support metabolism and the thyroid gland. Proper thyroid function is critical to the body’s metabolism, energy (ATP) production, digestion, and many other functions. Nascent iodine supports optimal metabolism, as well as processes of energy production and detoxification in the body. The vast majority of American are deficient in iodine. Thyroid issues often accompany problems with blood sugar control and diabetes. Iodine is an important mineral the sufficiency of which is important for everyone in order to maintain proper metabolic health. Exercise is important for all aspects of health, including metabolism. While exercise is important for all individuals, it may be especially important for individuals with diabetes blood sugar control problems. This partly relates to the fact that obesity is considered a primary risk factor for Type 2 Diabetes. While not all diabetics are overweight or obese, many of them certainly exhibit these characteristics. Because being overweight or obese is associated with blood sugar problems, anyone who is overweight or obese should exercise regularly. This does not mean to exercise beyond one’s limits. Start slowly and then increase duration and intensity according to increased capacities for exercise. Ideally, you should exercise for a minimum of 30 minutes three times per week. Walking, hiking, jogging, or swimming are ideal because they emphasize cardiovascular health. However, even yoga or tai chi can be practiced at a level that burns fats, increases muscle, and elevates heart and breathing rates. Practicing meditation and/or utilizing relaxation techniques (e.g., biofeedback) supports the body to balance emotional states, reduce stress (and the ‘fight or flight’ systems that taxes the adrenal glands). Meditation, or time taken in nature, deep breathing, mindfulness, and quiet peaceful time (alone or with others) can rejuvenate mind, body, and spirit. It also gives the body a chance to slow down, rest, and heal. Regular meditative or relaxation practices protect the body and mind from excessive external pressures, and create an internal milieu more conducive to normal biological function. Thus, such practices keep us more youthful, more attuned, and better able to respond appropriately to whatever life requires of us. From the perspective of blood sugar control, deeper states of relaxation in the body can translate into less blood sugar instability, partly due to improved stress response. We also recommend regular massage and bodywork in our Master Rejuvenation Program. The benefits are many and include muscle relaxation, improved blood (and lymph fluid) circulation, structural alignment, and detoxification. For diabetics or individuals with blood sugar control, relaxation and improved circulation are especially important. There are several other practices we highly recommend to support optimal health for individuals dealing with blood sugar control problems and/or diabetes. One of these is doing a periodic (e.g., once per season) juice cleanse that includes a kidney cleanse. I will discuss how to do a complete kidney cleanse in a forthcoming article. A kidney cleanse involves 3–5 days (minimum) of drinking fresh vegetable juices with superfoods. In the morning, before juicing, you make a drink using the juice of two lemons or limes, preferably fresh. Mix the lemon (or lime) juice into 16–32 ounces of water, add some maple syrup to taste (optional), and a pinch of cayenne (optional). Fifteen to twenty minutes later, drink two cups of hot (or warm) kidney tea (see resources list below). Within an hour of drinking the lemonade (or limeade) and hot tea, prepare a drink that includes fresh vegetable juice (8–16 ounces) plus chlorella or Rejuvenate! superfood(s) (1–4 tablespoons). The original Rejuvenate!™ (greens) is the best one for this purpose, but you can use any of them. The remainder of the day you consume additional amounts of fresh vegetable juices optionally mixed with supefoods. Here is a recipe for my favorite vegetable juice recipe (‘The Doctor’) that may inspire you to make your own vegetable juices customized to your taste and palate. Ideally for at least three days, you’ll just drink lemonade and vegetable juices plus super foods. However, if you decide to eat, then just make sure that everything you eat is raw, organic, and fresh (e.g., not cooked or pasteurized). For example, consume salads, vegetables, or other raw foods away from the times you consume your lemon drink or vegetable juices. Continue drinking lemonade (or limeade) for at least three to five days. Seven days is better. After completing the kidney cleanse, you can continue eating raw for a day or two to ease the transition back to regular foods. Another option is moving onto a liver cleanse, which I will discuss in depth in a forthcoming article. A further option is moving from a kidney cleanse onto the lemonade diet (in any season), in which you consume lemonade (or limeade) as your primary source of nourishment for up to two weeks. You can optionally include vegetable juices while on the lemonade diet. If you add vegetable juices and/or superfoods to your lemonade diet, then you can go longer, up to perhaps four weeks or longer depending on the quantity of additional nutrients you consume, and how you feel while consuming lemonade, vegetable juice, and superfoods. You can expect some lulls in energy, but overall you may feel more energized and you will certainly be highly alkaline. Attaining blood sugar control may seem a daunting task, especially at times when progress seems slow. However, remember that it is primarily unhealthy eating and lifestyle patterns that create problems with blood sugar. There is no time like the present to start making positive changes that can support your body’s natural capacity to control its blood sugar. Changing habits and choosing a healthy diet that excludes simple sugars and reduces carbohydrates takes time. Yet, making such changes offers virtually foolproof means at least to improve blood sugar control, if not firmly establish a program that leads to dealing with the problem effectively over the long run, and perhaps solving it once and for all.